COMMENT: Mr. Armstrong; I just wanted to comment that I am from Venezuela. My father came here to visit me in Florida where I live with a Green Card. Everything he saved in life for his retirement is now worthless and it does not even pay to travel back to collect his pension. 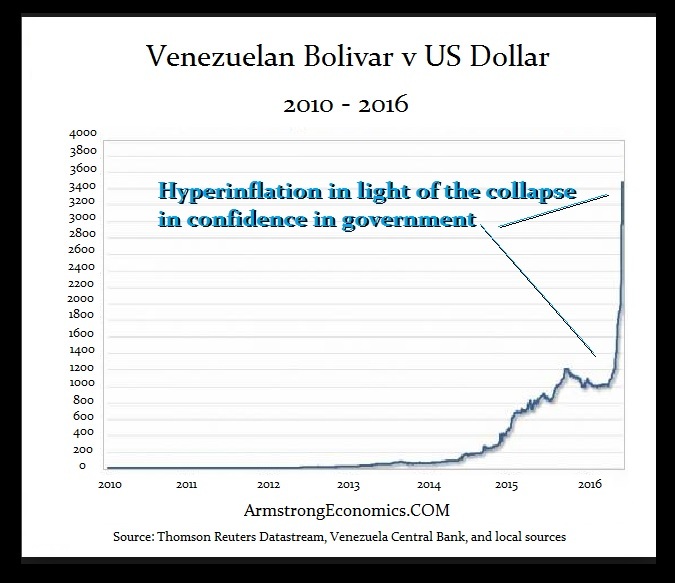 The hyperinflation is a collapse in the confidence of government as you have explained. Those who saved for their retirement and had pensions, lose everything. They will be paid the amount that they were promised, but it will not even buy a single night’s dinner and soon a beer. REPLY: To survive hyperinflation requires the holding of tangible assets and never cash or pensions. The way pensions can be devalued is through inflation over the course of time and circumstance. What I paid into Social Security will never come back to me in terms of real purchasing power and that is without hyperinflation. I have stated before, I met with the Treasury back during the Reagan Administration and said these insane levels of interest rates will triple the national debt in less than 10 years. They simply responded; Yes but we will be paying back with cheaper dollars. All promises of government are simply eroded with inflation. That is why Southern Europe fell into such chaos. The currency doubled instead of declining when they joined the Euro. That is why Europe has been a failure under this political-economic philosophy. 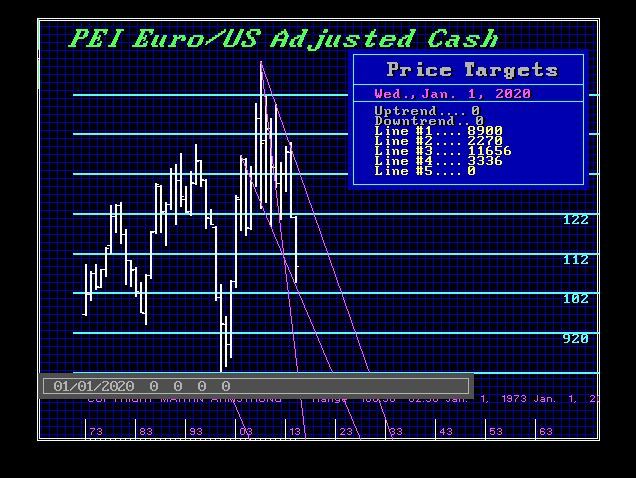 The Euro first crashed, and then doubled in value. Southern Europe was used to inflation always reducing their debts. Suddenly, their debts doubled and deflation ruled. And people cannot figure out why the Euro is in such trouble? I do like your saying though. It is spot on.